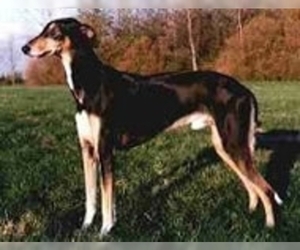 Overview: The Potsdam Greyhound is used in Italy for course racing. It is generally not kept as a family pet. 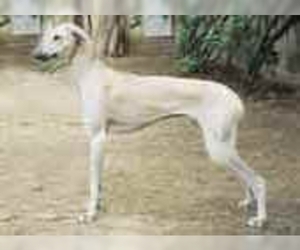 Character: The Potsdam Greyhound is fast and determined. 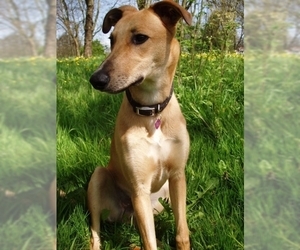 Temperament: The Potsdam Greyhound gets along well with children, when properly socialized. They shouldn't be kept with smaller pets, which they may chase. Care: This breed needs little care. Training: The Potsdam Greyhound is highly trainable. 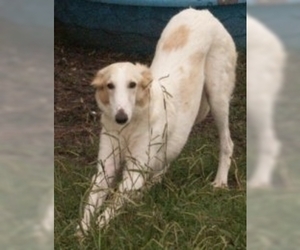 Activity: This breed is built for racing and needs plenty of exercise. They should be walked on a leash to keep them from chasing other animals. Displaying 1-5 of 6 result(s). Colors: Grey, grey and white or grey mottled white, darker shades are also available.